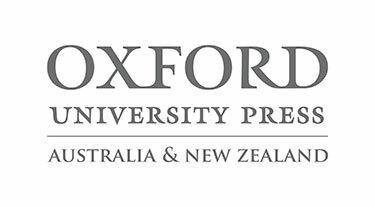 I am very pleased to be able to launch for the third year now, the Primary and Early Childhood Mathematics Education Conference! This fantastic event has received excellent feedback, and this year will be no different! In response to feedback we have made day 1 more specifically focus on leadership in much more depth. Check out our new program and see for yourself, it will provide mathematics and primary schools leaders with the opportunities they need to move forward in their context. We have also expanded our program to provide better support for Early Childhood Education from Birth to year 2. It’s looking great so please book yourself in, places are again limited. We also recently kicked off our new ‘Maths Collaborative’, a 2 year professional learning program with 39 primary schools undertaking work around whole school improvement and change in mathematics education. 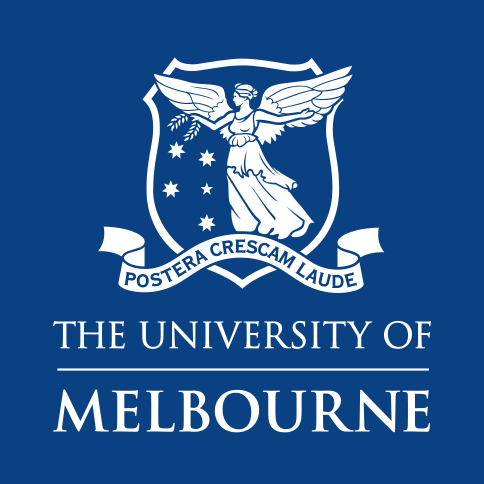 It was an awesome day, delivered with staff from MAV and the Melbourne Graduate School of Education. I’ll provide more information on this in later newsletters to keep you informed. Wishing you all the best as we head towards Easter! This is a beginner’s introductory session on coding using the TI Nspire. It is aimed at teachers who have not had much (or any) experience with programming in the past and would like some ideas of how to use it in their classrooms. Participants will be stepped through the creation of a simple program. It is advised that participants have a TI Nspire CAS handheld or computer software with them. Note: the computer software would be better as it’s a lot quicker to work with. Online or face to face at various locations! Online or face to face at at various locations! Applications are now open for the 2019 Maths camp for high Mathematics potential rural and regional Year 10 students. Feedback from previous students demonstrates they have an awesome experience! The highly successful and popular camp has been made possible through Victorian Department of Education and Training, Strategic Partnership Program funding. The mathematics camp brings together year 10 high potential rural and regional students to experience what a career in some of the most exciting organisations in the STEM industry look like. 24 students will be selected via an application process to participate in a 4 and half day camp in metropolitan Melbourne to be held during the first week of the Term 2 school holidays (Monday 1st – Friday 5th July). Applications close: Friday 5th April. For further information and to download an application click here. Dylan Wiliam, without saying so explicitly, describes a classroom culture and pedagogy that aligns so well with the 'C21 skills'. Teacher Magazine. 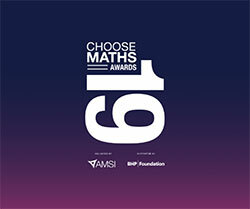 The 2019 CHOOSEMATHS Awards are now open! Now in their fourth year the awards celebrate mathematical achievement, creativity and excellence in Australian schools. The teacher awards recognise Australia’s most engaging and innovative maths teachers whose influence and impact has inspired the next generation of mathematical leaders through creative and practice and mentorship. 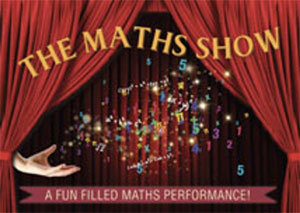 While the CHOOSEMATHS Student Awards encourage students to get creative and explore real-world applications of Maths. Collaborating in teams, students bring their understanding of mathematics to life on film around this year’s theme ‘MATHS MAKES EVERYTHING POSSIBLE’. At the 2018 World Meeting for Women in Mathematics, (WM)^2 held in Rio de Janeiro, Brazil, the Women’s Committee of the Iranian Mathematical Society proposed designating Maryam Mirzakhani’s birthday (May 12) as a day for celebrating women in mathematics. The proposal was approved. Globally, several organizations for women in mathematics support the initiative. Mirzakhani was the first woman and first Iranian to win the prestigious Fields Medal. “Mirzakhani specialized in theoretical mathematics that read like a foreign language by those outside of mathematics: moduli spaces, Teichmüller theory, hyperbolic geometry, Ergodic theory and symplectic geometry,” according to a news release from Stanford University, where Mirzakhani was a mathematics professor until her death. “Her work was highly theoretical in nature, but it could have impacts concerning the theoretical physics of how the universe came to exist and, because it could inform quantum field theory, secondary applications to engineering and material science. Within mathematics, it has implications for the study of prime numbers and cryptography,” the news release adds. Tragically, Mirzakhani died of metastatic breast cancer on July 14, 2017. She was just 40 years old. May 12th is a joyful opportunity for the mathematical community to celebrate women in mathematics. The celebration takes place every year, all around the world…The goal of the day is to inspire women everywhere to celebrate their achievements in mathematics, and to encourage an open, welcoming and inclusive work environment for everybody,” according to the website for the initiative. It’s planned that events orchestrated by local organizers will be held worldwide and the organization group (comprised of the organizations listed above) will announce those events on the initiative’s website. MAV will look to support this day through some activities also. Looking for a great maths incursion to start 2019? To have this truly amazing performance visit your school go to www.felstead.com.au, email info@felstead.com.au or phone 0402 223406. 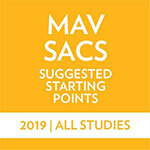 If you don’t have them, check out the MAV SAC Suggested Starting Points, to help with your SAC development in 2019: The materials are designed to provide suggested starting points for VCE Mathematics teachers for their School Assessed Coursework (SACs). 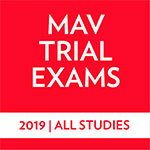 MAV SACs 2019 materials have been written by experienced VCE mathematics teachers. They are for use by teachers to aid in assessment of student School Assessed Coursework for Further Mathematics, Mathematical Methods and Specialist Mathematics. PRE-ORDER NOW - available in term 3. Each Trial Exam features: Original questions, highly relevant to the current course, fully worked solutions for all sections and clear marking schemes. Exam formats are similar to those used by the VCAA. 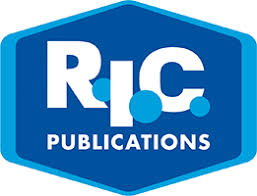 Permission for the purchasing institution to reproduce copies for its students. The Mathematical Association of Victoria (MAV) Games Days are very popular and a great way of engaging students through competing with like-minded individuals. 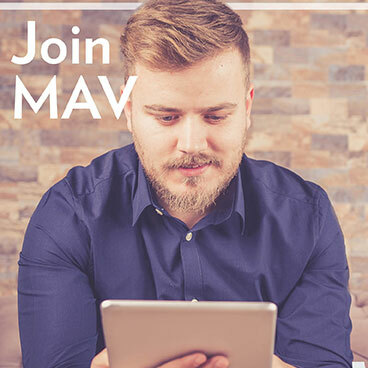 The MAV often gets enquiries from schools either wishing to run smaller scale games days at a local or school level or requesting games days resources. 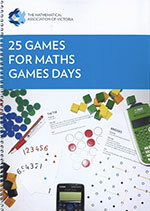 In this updated 2019 publication, MAV has compiled a selection of favourite Maths game including an addition of four new games, some used in games days. Whether for games days or for general classroom use, the games are a useful tool in engaging all students. The resource has been designed, with one game per page, so teachers can print the desired page as is. Each game has the same format, listing materials required, the rules and the aim of the game.